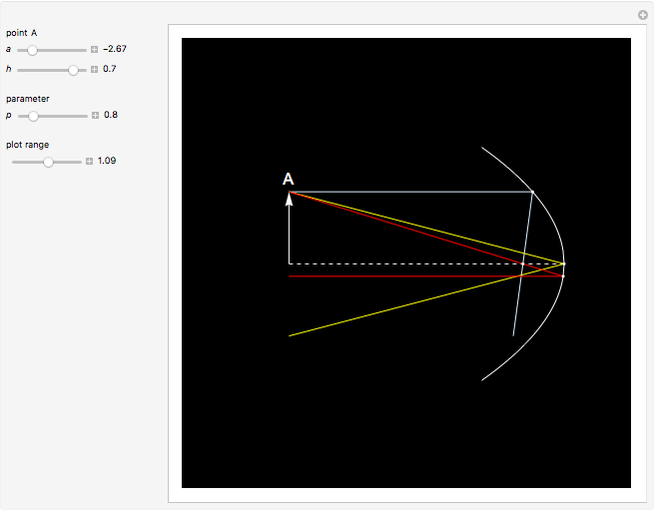 This Demonstration shows three rays from a point reflected in a parabolic mirror. These rays do not meet in a common point to form an image. The equation of the parabola with focus at is given by . The first ray (light blue) is parallel to the optical axis. 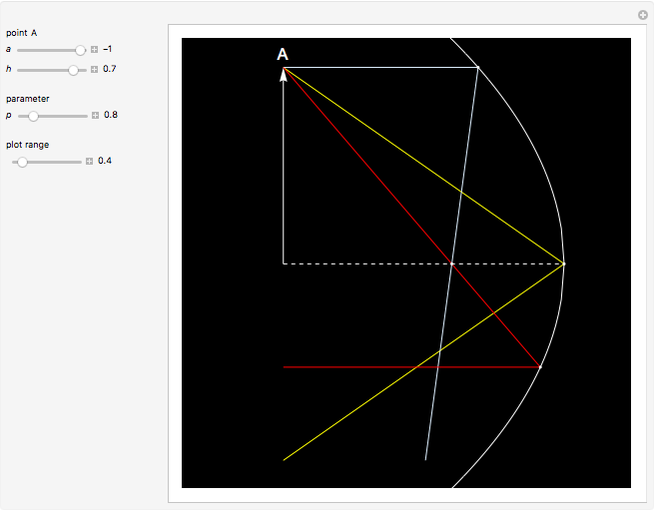 The second ray (yellow) is reflected at the vertex of the parabola. The third ray (red) goes from through the focus and is reflected back parallel to the optical axis. Izidor Hafner "Reflection in a Parabolic Mirror"